Our company recently announced several strategic partnerships of note. Here is a synopsis of the bottom line value to our customers and ecosystem partners. CHASE Strategic Partnership (Mass Adoption) - About 16% of consumer spend on credit/debit cards happens at the gas pump (over 40 million transactions per day in the US alone) and CHASE has more than 30% of the debit/credit card holder base in their portfolio (even higher through their clearXchange partnership with BOA and Wells Fargo). P97 will provide integration with the leading retail fuel systems and POS to enable geo-location based mobile payments at the pump and in-store payments at the POS for the new Chase Pay wallet and MCX merchant companies. 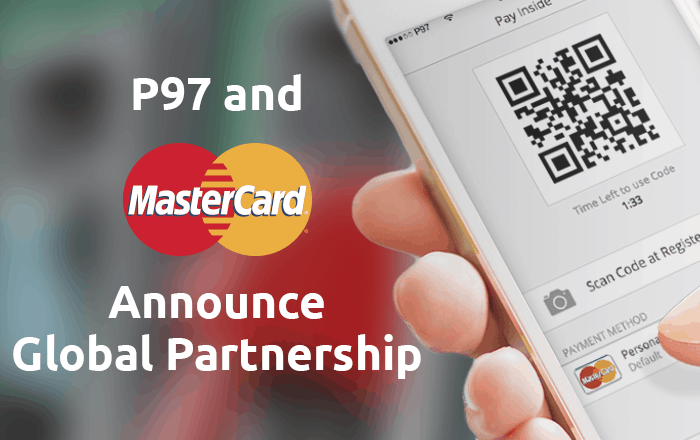 MasterCard Global Partnership (Global Reach)- This new relationship gives P97 global reach with a world class payments provider. Mutual clients will benefit from P97's PetroZone mobile commerce and marketing platform with multifactor authentication for identity and security combined with MasterCard's Digital Enablement Service (MDES) and MasterPass solutions. Verifone Strategic Partnership (Rapid Deployment) - P97 was recently announced as Verifone's first certified mobile partner for the Retail Fuels and Convenience Stores industry. The significance of this announcement is two fold - 1) Verifone has ~50% point-of-sale market share in the U.S. market for retail fueling and 2) our joint work with the Conexxus standards body allows us to leverage the Mobile Working Group API which means retail merchants running Verifone's Commander Electronic Payment Server can turn on PetroZone mobile commerce without a site visit (remote rapid deployment, low cost, and highly secure).